For that special person in your life who has recently returned home from the armed forces, be it finished tour of duty or home on leave, for any retired war veterans in your family, or to respectfully and lovingly pay tribute to the brave and fallen heroes of your family, this elegant cherry flag and document display case makes the perfect gift for birthdays, holidays, Veterans Day or Memorial Day. Made of durable cherry wood and protected with a glossy Plexiglas front and a plush, glare free black velvet lining for a background, the Flag and Document case will make an elegant gift, a proud decoration to adorn on any den or bedroom wall. It comes with its own mountable hardware for wall mounting and installation. The Flag and Document display case holds a 3 x 5 flag in the triangular flag case at the bottom, and an 8 1/2" x 11" document in the document holder. What better way is there to show your loved one in uniform that you care? What better way to give them a sense of achievement? Between both the flag and document display frames is a back board with enough adequate space for displaying medals, badges, pilot wings, honors bestowed, and other military memorabilia. The flag and document display case is the perfect way to put together a proud collection for anyone whose loved one is serving in the armed forces! Our Flag and Document Display Case allows you to beautifully tell the whole story of your loved one in the armed forces. Frame dimensions measure at 21.75" x 23". 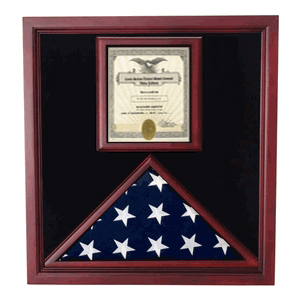 The Flag and Document case is a handsome way to display both certificates of recognition as well as an ideal frame and display for a tri-folded American flag or military flag. At Flag Connections, we support our country's service men and women serving overseas; marines, navy, army, air force and coast guard. 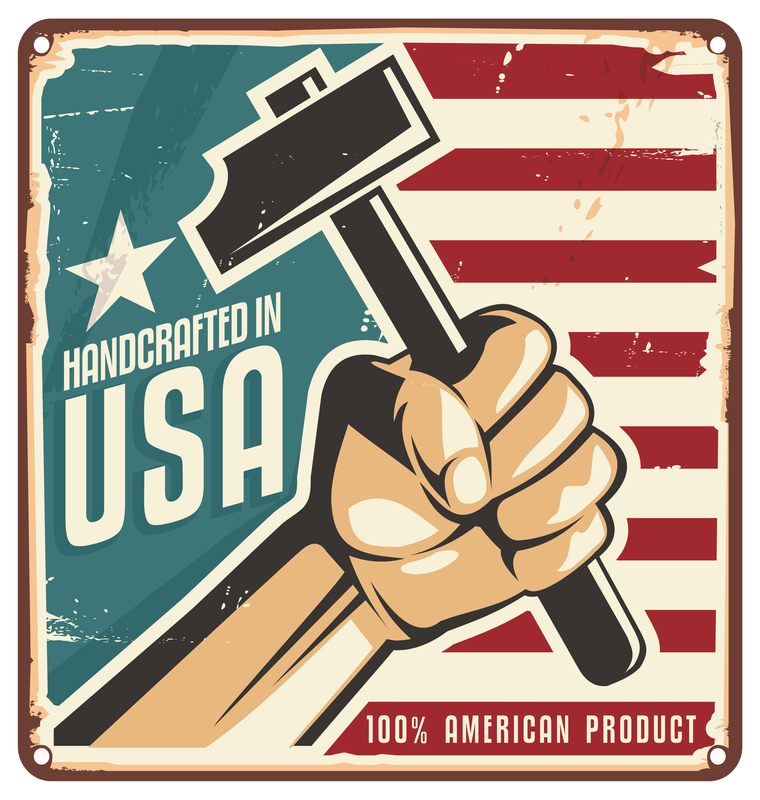 We recognize that they deserve the best and strive in all our products to give them only the best quality designs and craftsmanship, American made.